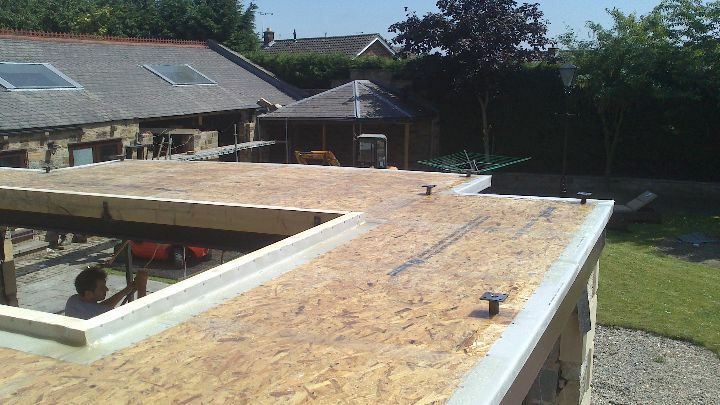 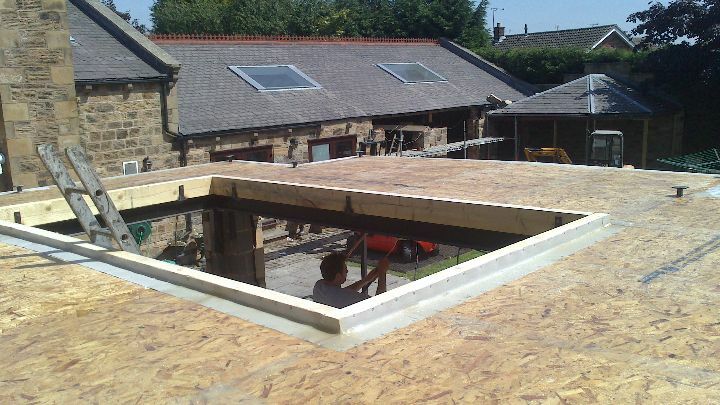 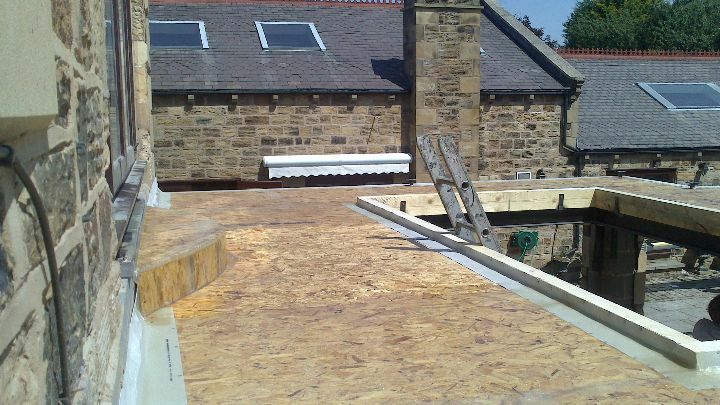 1st Active roofing carried out the installation of a new GRP fibreglass flat roof to the extension to a large detached home in Aston, near Rotherham. 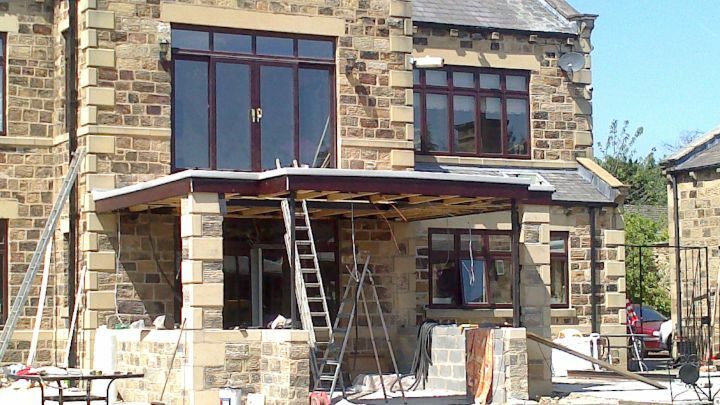 We fitted edging trims to all required areas, including the fittings for a hand rail which will enclose the roof, once the building work has been completed. 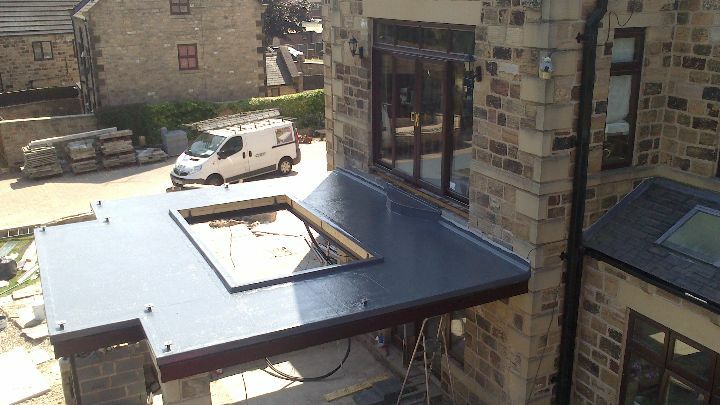 We then covered the flat roof area, with two layers of matting bonded together with the GRP fibreglass flat roofing system and finished with a dark grey top coat.